watch these to find out why. Watch how a Kepma Elite Guitar is made, start to finish! Now add stunning tone and studio delay, chorus and reverb to your favorite acoustic when playing acoustically or plugged in! 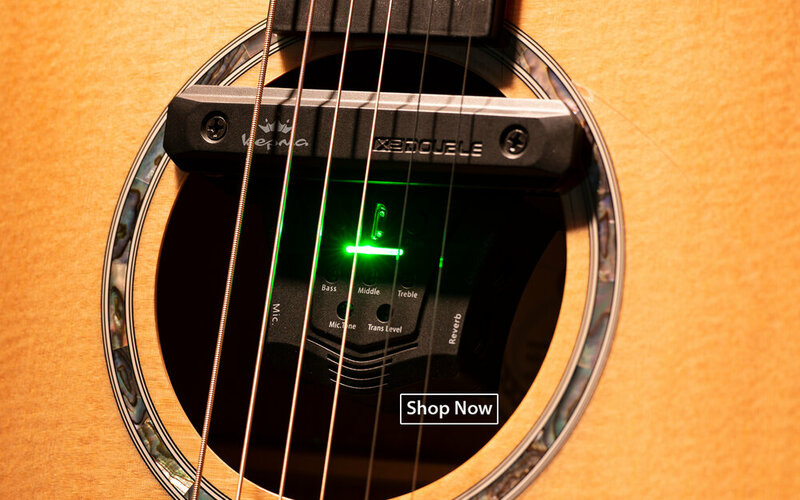 The Kepma AcoustiFex GO works on any acoustic guitar and installs in seconds. 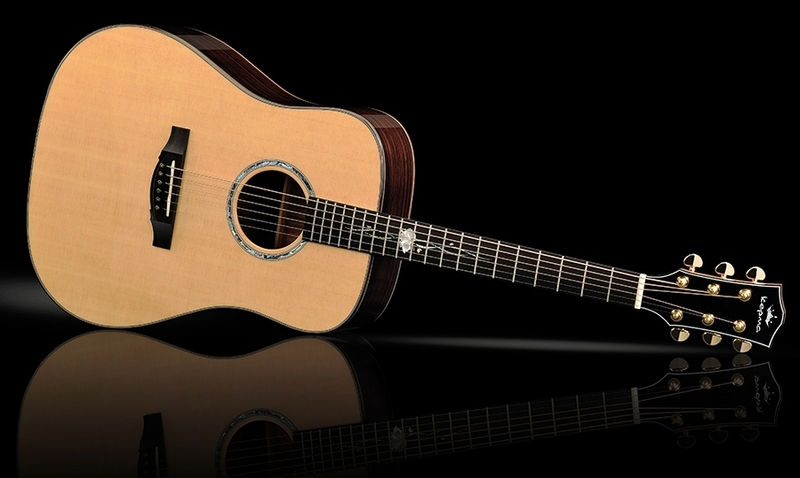 The minute you put a Kepma Elite instrument in your hands — pick a few notes, strum a few chords — you'll get it. Our instruments are different. They're uniquely "you". Once you play one, you won't want to stop. New ideas will suddenly start streaming and streaking through your conscience as if you're merely a vessel for melodies from beyond. You'll lose yourself in the moment of playing and all of a sudden, hours have passed. An instrument that inspires you becomes your writing partner — your playing partner. Your best friend. Corny? Perhaps, but also true. You know what it's like when a guitar just "fits"... it fits your hands, it fits your style and it fits your soul. That's why we build instruments. That's what inspires us to create instruments that will inspire you. Play one and you'll get it. Singer/Songwriter and Actor John Schneider talks about the new revolutionary Kepma AcoustiFex GO. Nashville based songwriter Logan Ashley gives us a taste of her song “Lonely Night in a Crowded Bar” on a Kepma GA2-131 with the Kepma AcoustiFex GO pickup, preamp and effects system. Nashville songwriter, producer and session legend Michael Spriggs gives us a sonic tour of the Kepma D2-120 — Solid spruce AAA top, rosewood back & sides. The most affordable super-premium guitars in the world. That's quite a claim, but as you explore the world of Kepma Elite Guitars, you'll quickly realize that these guitars are different. They're highly "high tech" AND "high-touch". At Kepma, there's no distinction between art and science — they're one in the same. Our approach to designing and building guitars for the world stage is unprecedented... we blend science and technology in such an artful way to produce guitars that in the hands of a player evoke the feeling and emotion intended by the artist. A guitar isn't just a tool, it's an extension of your soul. Put a Kepma Elite guitar in your hands and you'll instantly know — it's perfect. Every time. Perfecting the Guitar for over 10 years. So we've been at it for over 10 years now... perfecting the art of building the world's best guitars. How did we do it? Lots of intensive sound research. Engineering. Scientific breakthroughs like realizing that by aligning the medullary rays in a crosshatch pattern during the cutting of sitka spruce tops, you can actually make a top stronger, more resilient and actually more responsive because you can make it a little thinner and lighter without compromising the sonic character of the wood. It takes a lot of deep thinking and "what if?" questioning to revolutionize an established process. And that's just what we've done. Enough about us. Since we can't put one in your hands and let you feel and hear for yourself just what a Kepma can do, let a few of our artists "demo" for you the tonal versatility of a Kepma Elite Guitar. Then, sprint down to your local guitar shop and put one in your hands. Ultimate playability. Kepma Guitars just feel "right". They feel good. They feel... well, perfect. Every time. Thank you! We’re thrilled you’re interested in our Guitars! We’ll keep you posted on new models, where to find them and all kinds of other great stuff!